One of the key recommendations from the 2015 dietary guidelines is to include a variety of protein foods in your diet. Seafood is a healthy protein choice. It is a low calorie, high quality source of protein. It is low in saturated fats, low in cholesterol, and many are rich in omega 3 fatty acids. There is lots of evidence that eating fish can help prevent cardiovascular disease. Here in Florida, we certainly don’t lack a variety of seafood to choose from. Florida ranks among the top 12 states for fresh seafood production with over 80 varieties of both wild-caught and farm-raised seafood products. There are many reasons to purchase Florida seafood. It stimulates the local economy. Florida’s seafood industry has an economic impact of nearly $16.9 billion annually and employs approximately 77,000 people throughout the state. Buying local helps local jobs and also ensures that the ecological footprint, from catch to plate, is minimized. In many cases, local seafood will get to the consumer faster than imported seafood that needs to be transported by ship, plane, or rail. Florida fisheries are considered sustainable because of effective state and federal management. Florida fishermen have to follow local, state, and federal regulations to ensure its fisheries are and remain sustainable for future generations. Consumers should feel confident when purchasing Florida seafood because it is managed responsibly. What should I look for when buying Florida seafood? 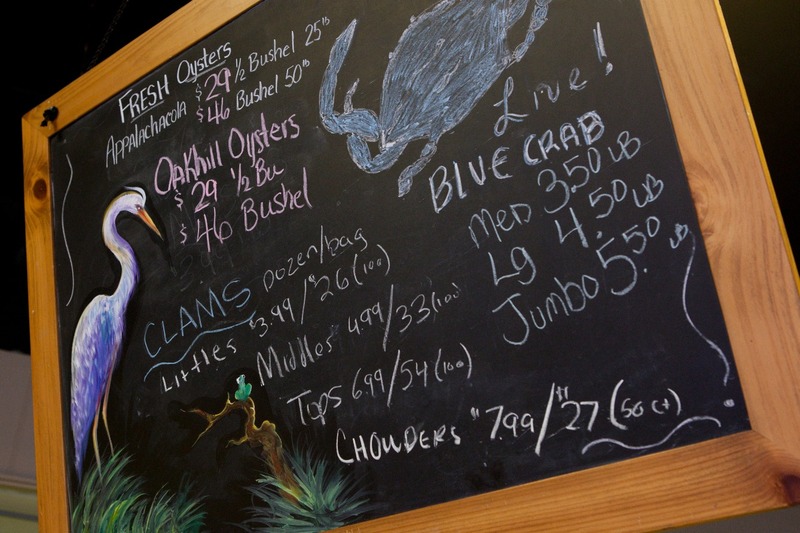 Here are some tips for buying Florida seafood in your area. Make sure you buy from reputable dealers. Talk to your retailer about where the seafood they have showcased comes from. All seafood is required by law to be labeled with country of origin. But you can ask specific questions as to whether the seafood was harvested in Florida. Look for the “Fresh from Florida” logo, which by law requires the product be harvested or raised in Florida. It’s important to realize that it might not always be possible to buy local seafood. The product might be out of season, may be too expensive, or may be a type of seafood Florida doesn’t harvest. If there is something you want that is not available, ask the retailer what local products are available that would be comparable to what you are looking for. Look at the Florida Department of Agriculture and Consumer Services website for information on Florida seafood recipes and the peak months of Florida seafood availability.